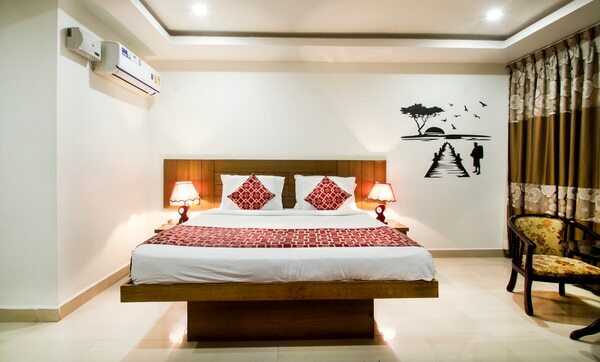 Hotel Rainbow International in Hyderabad,Hotel Rainbow International is strategically located in Shamshabad 15 Minutes drive from Airport, a connectivity to the city's buzzing business, entertainment and shopping hubs. The hotel has well-appointed rooms, each room fitted with a flat screen TV, premium bedding, a fireplace with spacious seating, a wardrobe, tea/coffee maker and an in-room safe locker for the guests. Along with the enticing services, the hotel provides additional services like travel assistance, currency exchange to our guests on demand.